If we were playing Family Feud, the category would be: THINGS KATE LOVES. 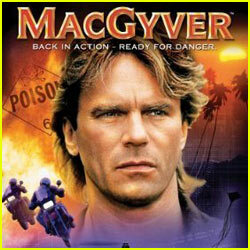 The ever-handy MacGyver has been at the top of that list since I was about 5-years old. He is fantastic and I love him. do not judge. Fortunately, my cousin loves him just as much. And when she isn’t eating pizza or doing Pilates, we host MacGyverita Night. Yes, that word is made up but, it has great meaning — basically it’s a night where we watch episode after episode of the classic series while eating fajitas and drinking margaritas. Get it? Usually it involves a group of friends, but if it turns out to be just us we are so not above a two-on-one date with MacGyver. Wait, what? Weird. We are total Mac fanatics. We dance along to the theme song, we know uber amounts of trivia, we have plots memorized…it’s kind of ridiculous. In the most awesome way ever. Watching Mac fenagle his way out of tricky situations using just his trusty pocket knife, conveniently located roll of duct tape, and his cunning skills is a great way to spend an evening. Fish tacos trumped fajitas this time around and for that, we turned to a different cultural icon, but just as innovative: Gwyneth Paltrow. The lovely Miss Paltrow posted this recipe for fish tacos in her last GOOP newsletter. Of course, when she made them it was for a family meal for the chefs working on the enormous celebratory dinner she hosted for the launch of her new cookbook. In the food world a ‘family meal’ is the meal that the kitchen staff eats when they’re in the midst of prepping for service for the restaurant. It’s usually comprised of ingredients that are lying around the kitchen and are easy to toss together. Fish tacos definitely fall into this category. We followed the recipe for the most part, with some changes here and there. Tilapia was our fish of choice, rather than halibut. But we did as Gwyneth suggested, cooking everything until the flavors come together and “say hello.” Ohhh Gwyneth. 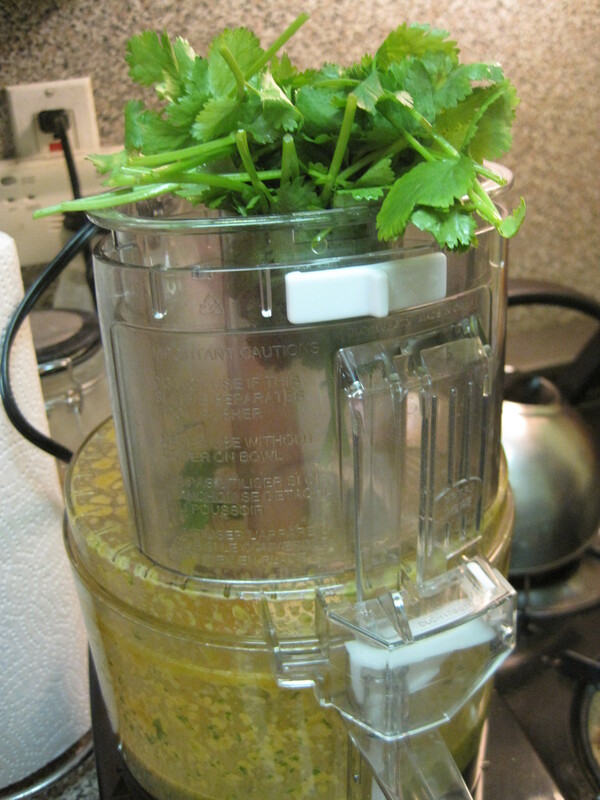 The marinade was really quite delicious and very simple — the food processor made light work of it — lime juice, garlic, onions, jalapeno, olive oil, cumin, paprika, and salt followed by a heaping bunch of cilantro that we crammed in until the mixture smelled bright and fragrant. 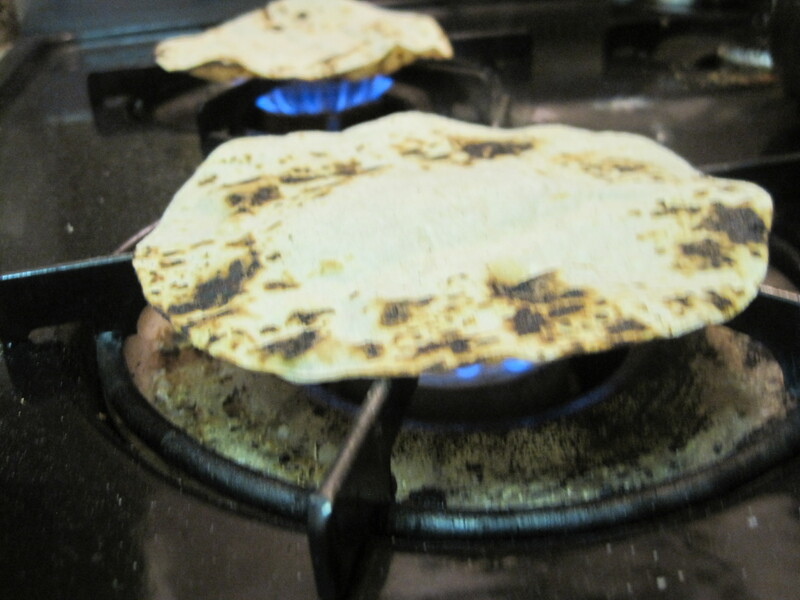 The small corn tortillas got that special taco truck treatment by way of the gas burners on the stove. The soft rounds quickly turned into perfect crackly, charred shells ready to be filled with the zesty grilled fish and topped with tangy Mexican crema, red onions, black beans, salsa, and dollop of guacamole. 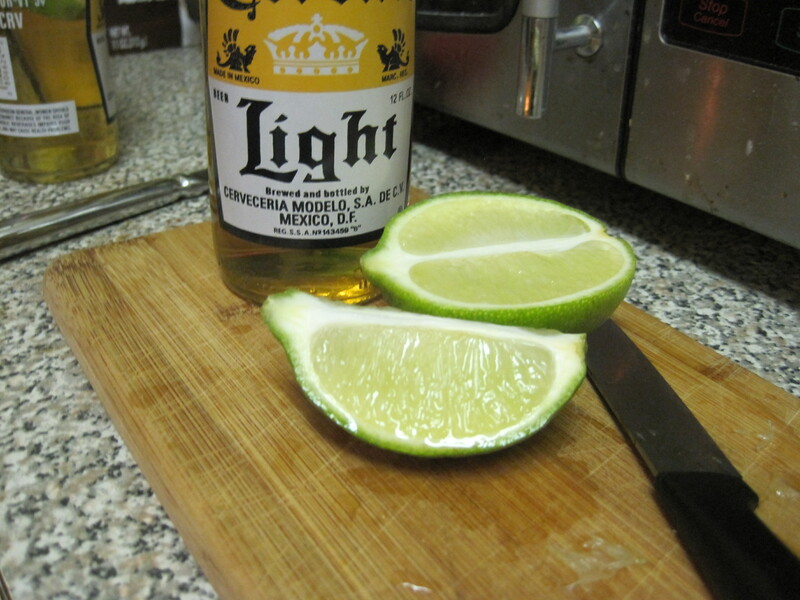 Pair with a Corona Light (or several) and your favorite episode of MacGyver and you’re ready to go. Or as Mac would say: back in action, ready for danger. 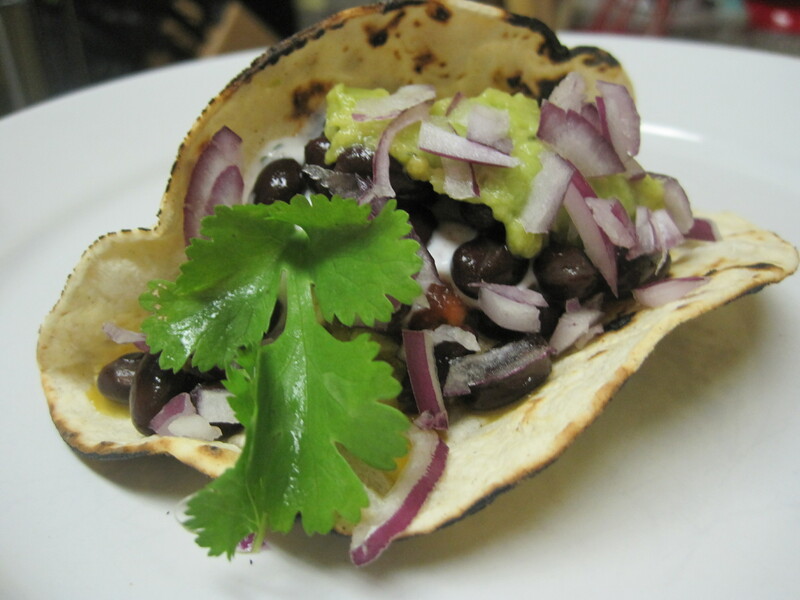 This entry was posted in Main Dish and tagged Fish Tacos, GOOP, Gwyneth Paltrow, MacGyver. Bookmark the permalink. Worst haircut in TV! Only actor whose chiseled features bring to mind a plastic surgeon’s chisel. Tacos look good though.